35 years ago today, this issue hit spinner racks. It quickly became a touchstone in my GI Joe collecting, and was one of the first issues that sold me on a ton of toys all at once. 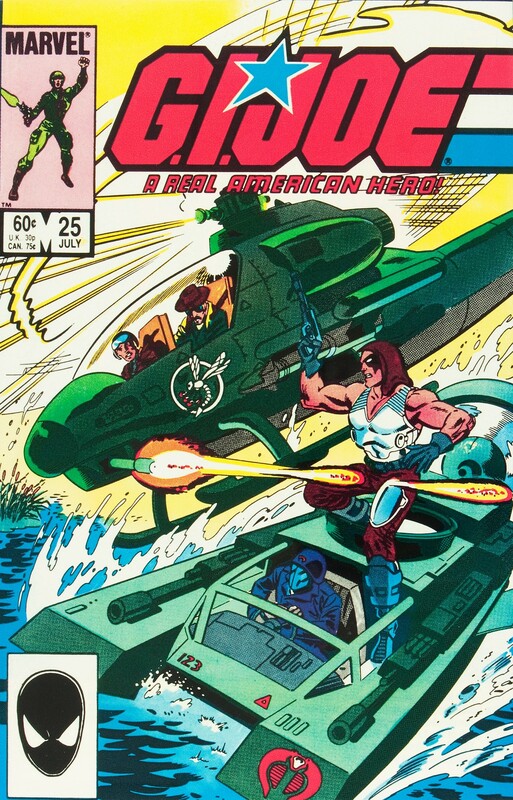 The issue featured the first full exposure to Zartan and his Dreadnoks, as well as Firefly and Wild Weasel. On the Joe side, Deep Six, Cutter, Mutt, and Tripwire debut. For vehicles, we get the Water Mocassin, Zartan’s Chameleon, and the SHARC. As soon as I read this issue, I needed to get to the toy store ASAP. There was a synergy of toy and comic books in the mid-80s that doubtful we’ll ever see again, and as I’ve said here before, Hasbro’s marketing strategy was downright diabolical. Hit with a one-two-three-four punch of comic/cartoon/TV ad/packaging of world-building, kids like me were easy marks. Look at that cover and tell me we’re not looking at the absolute height of multi-media toy cross-promotion. Damn, it oughta been illegal! And here I am, thirty-five years later, waxing Hasbro’s car on the daily. The Dreadnoks comic first appearance intrigues me: everywhere has them down as 1985 figures yet here they are in the comic NINE MONTHS before their figures can have hit! Keep in mind the Dreadnoks, Flint, Shipwreck, Lady Jaye, Crimson Guard, Cobra Flight Pod and Snake-Eyes V2 all appeared in THE REVENGE OF COBRA miniseries in September 1984. And animation takes awhile. Ah, the issue with the Water Moccasin turret that holds 3 people. And the cobra driver who disappears later, maybe he takes Firefly and Wild Weasel’s moccasin away. And the mysterious 4th Dreadnok at the computer station. I always consider the original 3 Dreadnoks (& Tollbooth) as part of the 1984 class, since they’re the only 4 from 1985 that still had the “peg head” construction vs. the ball-joint neck.